For the purposes of the Data Protection Act 1998, the GDPR and the Data Protection Bill when in force and all other relevant legislation, J.Tickle (Practice Manager) is the ‘data controller’ (is responsible for, and controls the processing of, your personal data). We will also obtain personal information you provide when you fill in any patient forms we provide you with, send feedback, post material, contact us for any reason and by any medium, sign up to a service, make purchases through the website, share information via the Website’s social media functions, enter a competition, complete a survey or report a problem with the Website. We will ask you to provide sensitive personal data before providing any treatments or services to you. 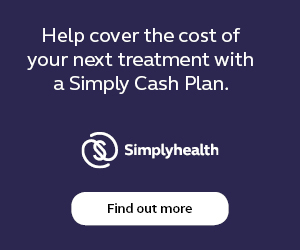 Occasionally we may receive information about you from other sources such as credit reference agencies, your GP or referrer, which will be added to the information already held about you in order for us to help supply our services and products to you. Location data: We may also collect information to determine your location using GPS technology or such other location tracking software we may use from time to time. Some of the features of the Website may require access to such location data to work. If you would like to use any such feature, you will be asked to consent to provide such location information. You can withdraw your consent to providing this information at any time by emailing judy@feet.org.uk or contacting us via the contact details at the bottom of this policy. to help identify you, your patient records and any accounts you hold with us. If you give your consent, we may share your personal data with organisations who are our business partners and we or they may contact you (unless you have asked us or them not to do so) by mail, telephone, sms, text/picture/video message, email, about products, services, promotions, special offers and charitable causes that may be of interest to you. If you prefer not to receive any further direct marketing communications from us or our business partners, you can opt out at any time. See further ‘Your rights,’ below. All healthcare practitioners who work at R. Handford & Co Podiatry. To revise your consent, access, amend or remove your records or assert any of your rights set out above, you should send your request in writing to us at R. Handford & Co Podiatry. We welcome your feedback and questions. If you wish to contact us, please send us an email to judy@feet.org.uk. You can also write to us at Mrs J. Tickle. Practice Manager, R. Handford & Co Podiatry Ltd, Capital House, 16 Hockerill St, Bishops Stortford, Herts CM23 2DW or call us on 01279 652249. 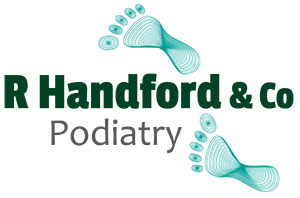 R Handford and Co Podiatry Ltd, registered as a limited company in England and Wales under company number: 07565616. Registered Company Address: R Handford and Co Podiatry Ltd, 5 Ducketts Wharf, South Street, Bishops Stortford, Hertfordshire, CM23 3AR.